White tea leaves are much sought after for their delicate flavor, which combines effervescence and complexity. Robert Piguet Parfums offers a perfume that creates a similar memorable experience by reinterpreting white tea leaves as fresh, crisp and radiant. 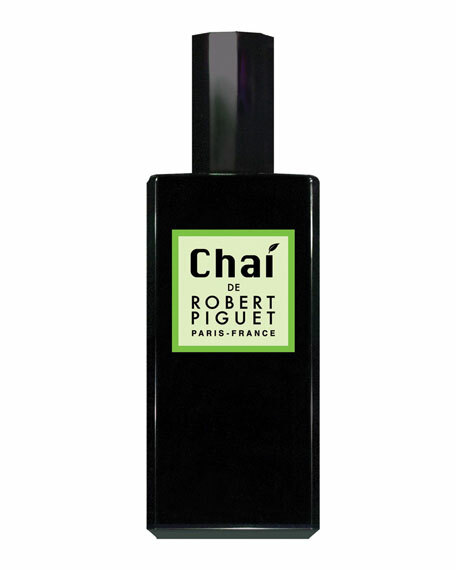 Chaí de Robert Piguet opens up on a vivid accord of bergamot leaves and orange blossoms. The caressing sweetness of white tea leaves unfolds under the sparkling top notes. A drizzle of honey adds sensual warmth to the composition, with the gentle smoke of yerbamate providing a beautiful, lasting finish. Chaí de Robert Piguet is an ideal choice for those who crave a refreshing and sophisticated perfume.